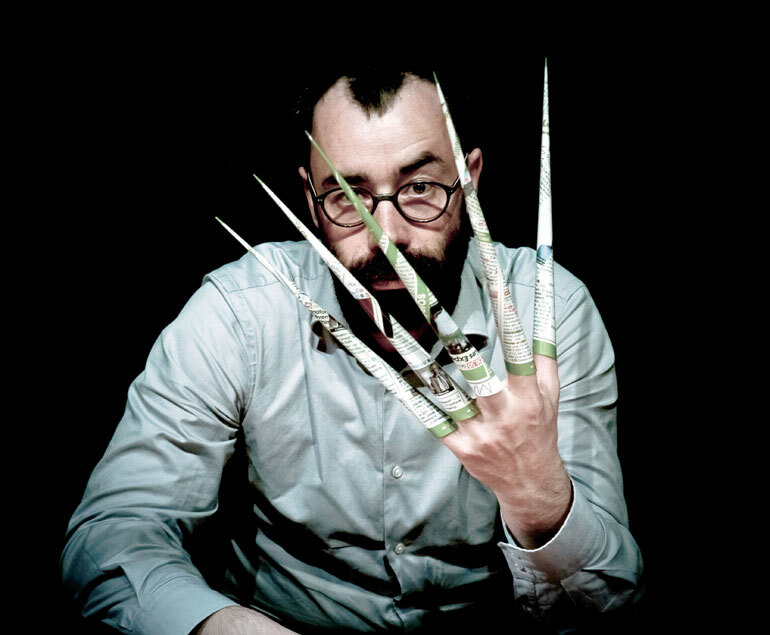 Etienne Manceau in the performance Vu, January 29 and 30, 2016. Patrons of the arts and culture in and around Kelowna can look forward to a multitude of public events in 2015/16, presented by UBC Okanagan’s Faculty of Creative and Critical Studies (FCCS). Distinguished authors, artists, performers, and speakers exemplify the slate of events hosted by FCCS, a hub of cultural activity and a major contributor to the Okanagan’s thriving arts scene. Over the course of the academic year, FCCS events take place at venues such as the Rotary Centre for the Arts, Okanagan Regional Library, Kelowna Art Gallery, Black Box Theatre, Delta Grand Hotel, and locations on campus such as University Theatre. The Creative Writing program invites accomplished novelists, essayists, poets, screenwriters, and playwrights to present their work at the Okanagan Regional Library and UBC's Okanagan campus. Chelsea Rooney, Wednesday, Sept. 16 (7:30 p.m.) at FINA Gallery, CCS Building, UBC Okanagan, Kelowna. Rooney is the author of Pedal, a debut novel published in 2014 with Caitlin Press and a finalist for the 2015 Amazon.ca First Novel Award. CBC Books named her a Writer to Watch in 2015. She hosts a monthly episode of The Storytelling Show on Vancouver Co-Op Radio. Jordan Abel, Tuesday, Oct. 13 (7:30 p.m.) at EME 1151, UBC Okanagan, Kelowna. Abel is a Nisga'a writer and a PhD student at Simon Fraser University where his research focuses on Indigenous literature and resurgence. He is the author of Un/inhabited and The Place of Scraps, which was a finalist for the Gerald Lampert Memorial Award and the winner of the Dorothy Livesay Poetry Prize. Injun, Abel's third book, is forthcoming from Talonbooks in Spring 2016. Kevin Kerr, Monday, Nov. 9 (7:30 p.m.) at Okanagan Regional Library, 1380 Ellis Street, Kelowna. Playwright Kevin Kerr is a founding member of Electric Company Theatre, an artist-driven ensemble based in Vancouver, BC. Other works include screenplay for The Score (CBC Television/Screen Siren Picture), The Night’s Mare (Caravan Farm Theatre) and Unity (1918), which received the 2002 Governor General’s Literary Award. The AlterKnowledge Discussion Series is a monthly forum for public dialogue, bringing university and community participants together to discuss issues of social concern for members of the Okanagan community. This year, as part of the university’s Centennial celebration, the AlterKnowledge Centennial Series focuses on critical engagements to explore themes of “Relation, Identity, and Place” in the Okanagan. The AlterKnowledge Centennial Series kicks off on Sept. 18 with a discussion led by internationally recognized activist Arthur Manuel. Arthur Manuel, Friday, Sept. 18 (7 to 8:30 p.m.) at Salloum Rehearsal Hall, Rotary Centre for the Arts (RCA), 421 Cawston Ave, Kelowna. An advocate for Aboriginal title and rights in Canada, Manuel co-authored (with Grand Chief Ronald M. Derrickson) the book Unsettling Canada: A National Wake-up Call. Manuel will discuss the political struggles documented in his recent book, and the project of decolonizing the relationship between Indigenous and non-Indigenous peoples in BC and Canada. Friday, Sept. 25 (7 to 9 p.m.) at the Alternator Centre for Contemporary Art, RCA, 421 Cawston Ave., Kelowna. Inspired by the work by Ann Nicholson, the theme of the month installment of Draw By Night, “Inner Warrior,” celebrates the voices in our heads that guide us through good and bad times. As part of Kelowna's Culture Days, participants get together and create character Artist Trading Cards to share and trade. The event is free and open to the public. Come armed with your favourite drawing utensil or feel free to use what is provided. Materials and food for your inspiration will also be available. Starting Sept. 28, FCCS welcomes three visual artists—James Nizam, Jennifer Stillwell, and Rebecca Brewer—who will each host a public lecture about fine arts and their work. The free events take place 12 to 1:15 p.m. in CCS 227 (Creative and Critical Studies Building) at UBC’s Okanagan campus. James Nizam, Monday, Sept. 28. Nizam is a Canadian artist living and working in Vancouver. His art practice investigates photography within an expanded field of operations that consider the relationship between performance, sculpture, and architecture (alone and in conjunction) to comment on the vagaries of an illuminated artefact. He graduated in 2002 and holds a Bachelor of Fine Arts from UBC. Jennifer Stillwell, Monday, Oct. 19. Stillwell primarily works with sculpture and installation. In 2000 she received a Master of Fine Arts with distinction from The School of the Art Institute of Chicago and has since exhibited widely. She has attended residencies at the Banff Centre for the Arts, Gibraltar Point (Toronto), Kunst & Complex (Rotterdam), Fondation Derouin (Quebec), and Quartier éphémère (Montreal). Rebecca Brewer, Monday, Nov. 9. Brewer’s paintings bridge figuration and abstraction in fresh, unexpected ways. Brewer’s works have addressed such influential figures as Joseph Beuys and Ayn Rand, often prompting viewers to reconsider the intellectual legacy, meaning, and worth of such personalities. Born in Tokyo, Brewer was raised in Canada and studied sculpture and painting at the Emily Carr Institute of Art and Design, graduating in 2007. This year, the Reichwald Germanic Studies Endowment Fund debuts its Visiting Speaker Program, which features accomplished Canadian or international speakers/scholars with a distinguished career in any field of endeavour. The visiting speakers not only enrich the intellectual life of on- and off-campus communities but also engage those communities in topics that draw from Germanic experiences and have broader significance to society at large. Ursula Heise, Thursday, Oct. 1 (7 p.m.) at the Kelowna Art Gallery, 1315 Water Street, Kelowna. Free admission. Ursula Heise, a Professor of English at UCLA and a faculty member of UCLA’s Institute of the Environment and Sustainability, presents “How We Learned to Start Worrying and Love Endangered Species.” The wide-ranging talk explains how we came to protect endangered species and to lament their loss when conservation fails. Heise is currently the managing editor of the American Comparative Literature Association’s Report on the State of the Discipline. 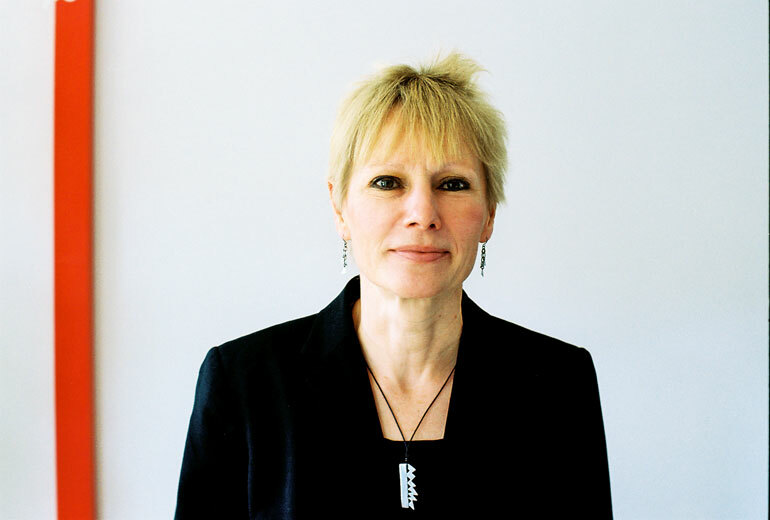 Her research and teaching focus on contemporary environmental culture, literature and art in the Americas, Western Europe and Japan; theories of globalization; literature and science; and the digital humanities. O k'inadas, Friday, Oct. 2 (6:30 p.m.) at the Delta Grand Hotel, Columbia Room, 1310 Water St., Kelowna. Special season opener—free admission. Tahltan artist Peter Morin presents a new performance work through acts of map making, land remembering, and song. Medicine, Friday, Nov. 20 & Saturday, Nov. 21 (8 p.m.) at University Theatre, UBC's Okanagan campus, Kelowna. Medicine is an autobiographical monologue, written and performed by TJ Dawe, about a retreat led by Dr. Gabor Mate, to heal stress and addiction, in which the participants ingested the Peruvian shamanic psychotropic plant medicine ayahuasca. Vu, Friday, Jan. 29, 2016 (7 p.m. and 9 p.m.) & Saturday, Jan. 30, 2016 (3 p.m. and 8 p.m.) at Black Box Theatre, 1375 Water St, Kelowna. Circus artist Etienne Manceau launches his first solo performance, manipulating miniatures with the precision and composure of the juggler. From Vancouver’s PuSh Festival, Vu is an internationally celebrated, non-verbal performance at the crossroads between object theatre, miniature circus, and involuntary clown. The Unfortunate Ruth, Friday, Feb. 19 & Saturday, Feb. 20, 2016 (8 p.m.) at University Theatre, UBC Okanagan, Kelowna. Playwright/performer Tara Travis (Monster Theatre and Sticky Fingers Productions) stars in this award-winning comedic tale about parallel Universes, sisterly bonds, and self-actualization. Travis borrows from some of her own life experiences to inform the tale: former obesity, struggles with the pursuit of happiness, battles with vanity and self-confidence, and a little bit of psychic intuition. Huff, Friday, March 11 & Saturday, March 12, 2016 (8 p.m.) at the Mary Irwin Theatre, RCA, 421 Cawston Ave, Kelowna. Performer/playwright Cliff Cardinal conjures a heartbreaking yet hopeful search for love, woven with dark humour, vivid imagery, and First Nation’s mythology. Huff received the 2012 Buddies in Bad Times Vanguard Award for Risk & Innovation. Tickets available soon through the Rotary Centre for the Arts Box Office. General admission for all shows is $25. Students and seniors tickets are $15. Tickets available at the door and online: cbm.ok.ubc.ca/fccs/pstickets/order. Performance Series Season Passes also available ($80 and $50, plus GST). More ticket information can be found at fccs.ok.ubc.ca/news-events/ongoing/theatre-26. The 2015-16 FCCS Performance Series is made possible through the generous support of the Central Okanagan Foundation and UBC’s Deputy Vice-Chancellor & Principal’s Office. Thursday, Jan 28, 2016 (7 p.m.) at the Kelowna Art Gallery, 1315 Water St, Kelowna. Anishinaabe-kwe image and word warrior, curator, and community organizer Wanda Nanibush presents “Art after OKA: Poetics and Politics in Contemporary Indigenous Art,” which focuses on works that exhibit a poetic rather than didactic approach to the relation of politics and artistic production, and delves into why this choice is made and how it shifts the debate on sovereignty and what it could mean. Audience interaction is encouraged. Presented by FCCS’s Visual Arts department, Art on the Line is a popular auction of sorts based on a vast selection of juried artwork donated by students, faculty, community members, and noted local artists. The annual event helps fund the fourth-year BFA students' graduation art show. Details about the winter 2016 event, such as ticket information, will be announced soon. Tamas Dobozy, the acclaimed Canadian author and professor at Wilfrid Laurier University, will spend two weeks on campus in March 2016, meeting with students and writers to do critiques of their written work, selecting the winners of the Okanagan Short Story Contest, visiting classrooms for readings of his work, and meeting with local writers. For more information about FCCS happenings, check out fccs.ok.ubc.ca/news-events and facebook.com/UBCfccs. Ursula Heise, Reichwald Germanic Studies Visiting Speaker on Oct. 1.